℗ 2017 ECM Records GmbH under exclusive license to Verve Label Group, a Division of UMG Recordings, Inc.
"A tenorist who can remind you of Joe Henderson at his craftiest, he employs his considerable technique in the service of music rather than spectacle." "Prodigiously talented saxophonist Chris Potter doesn’t get quite as much ink as, say James Carter or Joshua Redman, but he could show those whiz kids a thing or two." 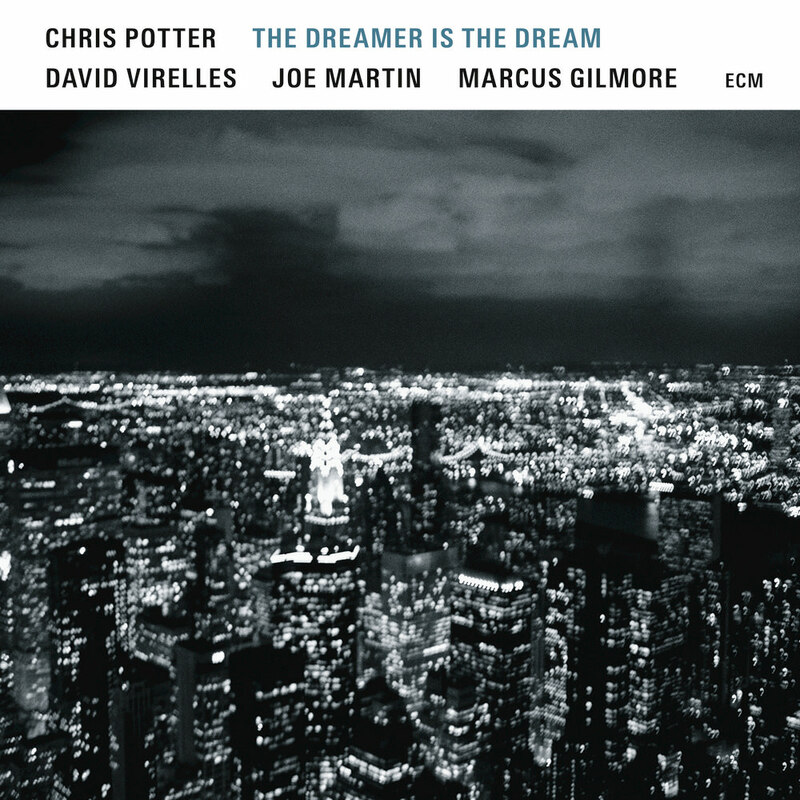 On The Dreamer Is The Dream, Grammy Award-nominated saxophonist Chris Potter leads a superb acoustic quartet consisting of familiar ECM names: pianist David Virelles, bassist Joe Martin and drummer Marcus Gilmore.